The 1940’s English style residence with guest cottage, is a stunning showpiece of a bygone era. Set on a large 2340m2 block with beautifully established gardens and an elevated position with views from high on the hill, it is only a short stroll to the beach. Beautifully refurbished, the home offers period charm as well as modern class. Grand living spaces are flooded with natural light. All rooms offer a tranquil outlook onto established gardens, designed by renowned landscape artist Edna Walling. The addition of a 2nd storey would command bay views, stretching from the Bellarine Peninsula to the CBD. A formal lounge with gas log fireplace, opens up via French doors to a light filled conservatory, perfect for enjoying your cuppa with a good book or newspaper! The exquisitely renovated kitchen boasts stone waterfall bench tops and stainless steel appliances. There are 3 generous bedrooms with built in robes whilst the additional sun lounge/ rumpus room may act as a fourth bedroom. A stunning family bathroom with a stone topped vanity and separate toilet, service these rooms. The fully self-contained cottage is ideal for a multitude of purposes, including the ultimate guest house, teenage retreat or ideal for a home business. 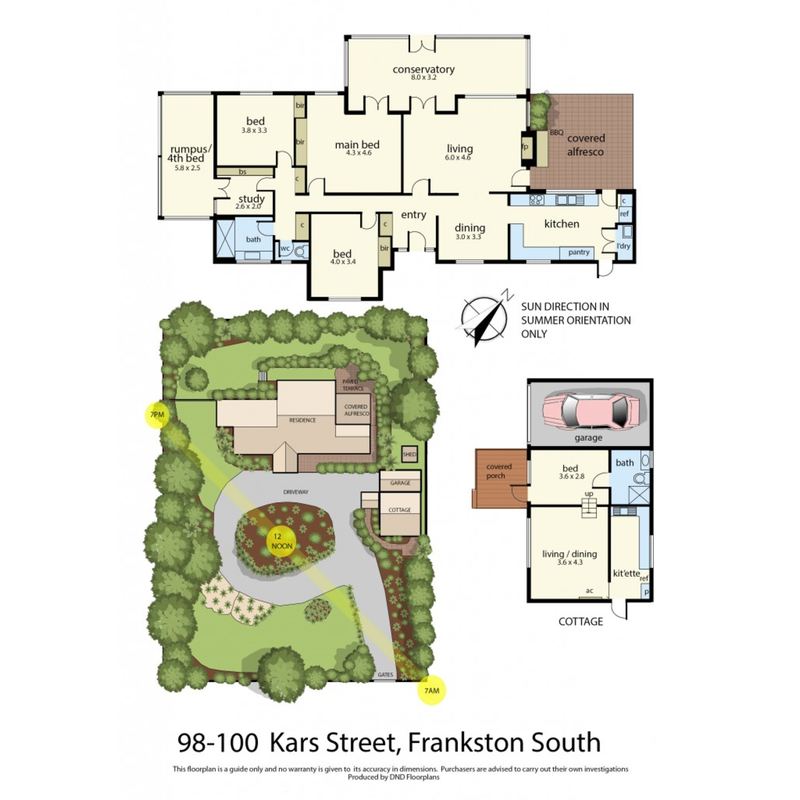 This home is located within the Frankston High School zone and offers a selection of premier private schools. Norman Avenue shops’ renowned cafes, Sweetwater Creek Nature Reserve and the gorgeous Frankston foreshore, are conveniently within walking distance of this residence. Additional luxuries include: 10 foot ceilings throughout, sealed circular drive, split system heating and cooling, evaporative cooling and ducted heating, ducted vacuuming, security system and bay glimpses. This property is leased until 26/07/18 @$785 pwk we would have to give 48 hr notice. P.S. to get a more a 3D view Please look hit the Tour.